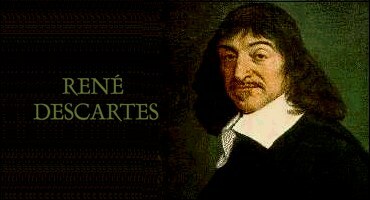 René Descartes was a French famous philosopher, mathematician and scientist who lived in the first half of the 17th century, contributing to an important scientific revolution. As a European, he inherited from a long Western tradition and history to witch he did then, himself, contribute. He accorded a lot of importance to the scientific method, whatever the domain he was working on. His mathematical work can be found mainly in Le discours de la methode and its third appendices, La Géométrie. His main contributions are the Cartesian coordinate system, the analytic geometry and in the domain of notation. For the notation, he established that the letters at the beginning of the alphabet (a, b, c) are symbolizing data or known quantities and letters at the end of the alphabet (x, y, z) are symbolizing variables or unknown quantities. He also said that the number of distinct roots of an equation is equal to the degree of the equation (ax+bx^2+cx^3=y is a three degree equation). As well, he pioneered the use of superscripts to show powers or exponents (4x4x4x4x4=45). Furthermore, he invented a mathematical tool we all used today since are early learning age: the Cartesian coordinate system, composed of two perpendicular axes and an origin. Basically, it is a “device to locate points on a plane”. Finally, he invented analytic geometry or the study of geometry using a coordinate system and the principles of algebra and analysis. In other words, it is the merge for the first time of geometry and algebra, allowing to graphically express the relationship between two variables that are functionally related to each other. It is due to Descartes that Dr. Page could say in class that since the beginning of the semester, we’ve been doing simultaneously geometry and algebra and that we can use graphical tools to illustrate vectors, lines and planes. ***Please watch the files in order, I had to divide my powerpoint in two parts; the initial file was too big.